15th August Is Celebrated Known As Independence DayThe day is celebrated to commemorate the birth of the world's biggest democracy as a national holiday. All the schools and colleges across nation hoist the national flag on the rooftops and the buildings to symbolize the stature of the national flag as nation's pride. Not only the educational institutions but also offices and business areas celebrate this day. Since it is declared a national holiday by the government of India, all the institutions, government or otherwise, have holiday. People only go to offices to attend the flag hoisting ceremony. The Prime Minister addresses the Nation after the flag has been unfurled recounting the country's achievements of the year, discussing current major issues and future plans for the progress of the country. Kite-flying has also become a tradition on this day and people can be seen flying numerous kites of all colors, sizes and shapes symbolizing the freedom. Independence Day is celebrated throughout India and every corner of the country on 15th August every year. 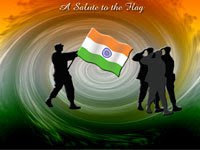 Independence Day is celebrated by every citizen of India irrespective of caste, creed and religion. It is amazing to see how apart from the normal government offices and educational institutions the day is celebrated even in small colonies and associations. There are costume parties and people, old or young, men or women, dress up in a nationalistic way. There are many documentaries aired and grave of martyrs are paid respect. Every citizen does something or the other to mark this day of freedom. Media is not far behind as most of the channels telecast latest or classic films based on the independence theme. Also, there are patriotic programs that are organized and broadcasted. 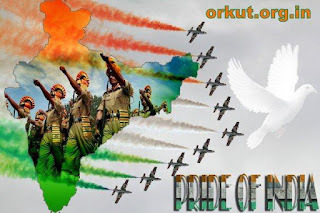 In short, every person in the country revels in the nationalistic pride.